This is a vintage late 20th century hanging chandelier style light fixture that was made in the Philippines for the interior decor exporter, Maitland Smith. 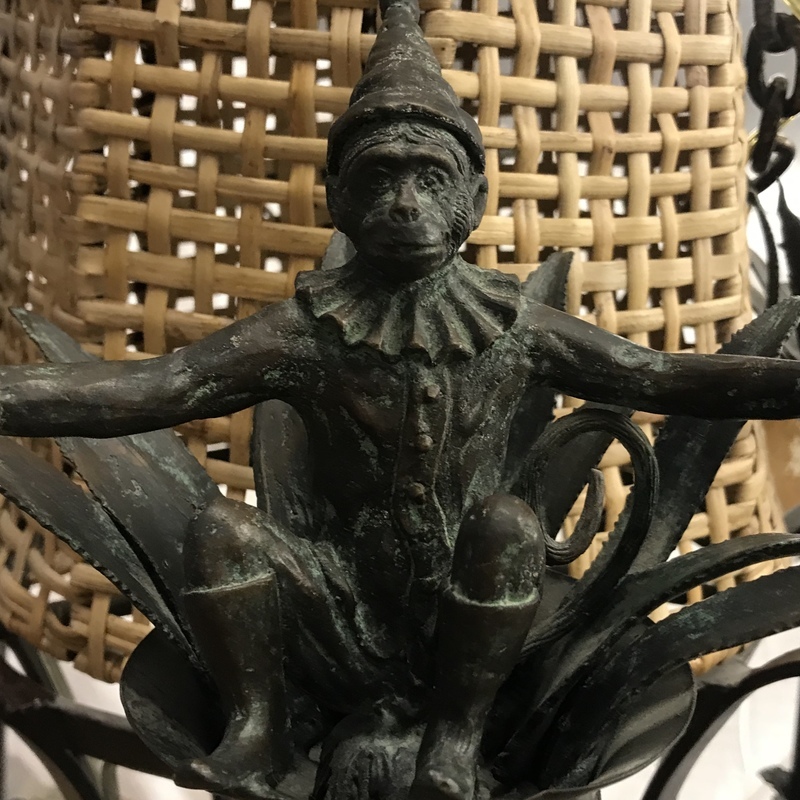 This is made with cast, wrought and pressed iron metal with verdigris patina, a woven rattan dome and featuring monkeys. Monkeys who are depicted simulating human actions in human clothing are referred to as 'singerie'. It is a French term and a popular decor motif since the 16th century. The estimate is based on actual recent past recorded auction sales of a match to this fixture. Retail 'asking prices' can be higher and vary.